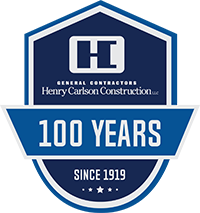 Henry Carlson Company constructed the original 110,000 sq. ft. Sturdevant’s building in 1998. Since then, the demand for warehouse space has grown dramatically and the need to expand was addressed in the form of a 60,000 sq. ft. expansion that matches the original building, provides additional truck docks, and fully utilizes the land available.